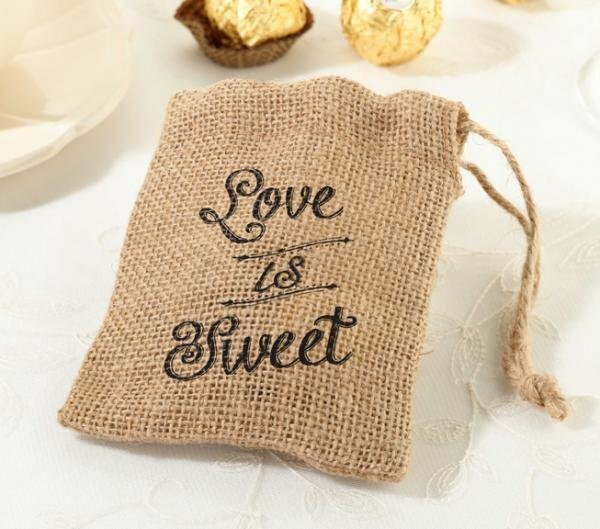 Love is sweet and so is the treat your guests will find in these cute burlap favour bags. "Love is sweet" is printed on the front of each bag. Sold in a pack of 4 bags.